In 2017, M Night Shyamalan's comeback hit Split turned out to be a sequel in psycho-thriller disguise to 2000's Unbreakable, a film that pre-empted the superhero movie revival. Now, this most divisive of directors returns to claim his dues with an impressively distinct yet distinctly flawed trilogy closer, one that might have been more successful had its knowing twists not boomed with such self-congratulatory insistence. On top of Shyamalan's own cameo, much of the film plays as thinly-veiled self-portraiture. After a tense opening confrontation, James McAvoy's serial killer Kevin and Bruce Willis's avenging superhero David are incarcerated in a psychiatric hospital, diagnosed with delusions of grandeur (honestly, critics). Here, they find their faith in their powers tested by the rationalism of Sarah Paulson's Dr Ellie Staple, just as audiences' faith in Shyamalan wilted following duds such as The Happening. 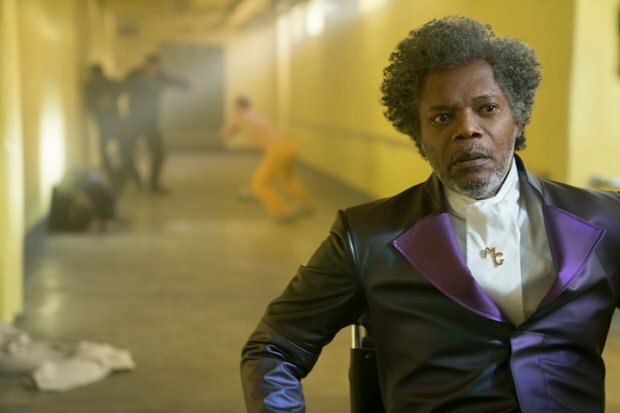 Meanwhile, fellow inmate and brittle-boned criminal mega-mind Mr Glass (Samuel L Jackson) looks on quietly, clearly plotting something dastardly. The parallels with Shyamalan's career are so glaringly apparent, it's a wonder Glass grips as much as it does. Much of that is due to the leads. As a man with multiple personalities, McAvoy flips voices with a fluency that – impressively – never seems gratuitous. Willis and Jackson find plenty of mileage in their relative minimalism, though it's a pity Paulson has rather less to work with. Though little happens, Shyamalan keeps things watchable, suspensefully building towards numerous shock reveals, only to fudge the landing. In the final stand-offs, the director punctuates the (admittedly lumbering) action with various commentaries on comic book lore, stating the obvious to thuddingly patronising effect. As for the final twist, it sits somewhere between ambitious, silly and lofty, as is its maker's wont. If you're looking for a nifty summation of Shyamalan's strengths and weaknesses, this cracked looking glass of a film has it all.